There is so much that Iran could give to the world if the people would be free. It´s a big country of 70 million and the majority are young and restless. They want freedom. As a reminder that Iran used to have a great history of Pop music that was mixing Western and Iranian traditional influences, here is the most famous Iranian Rock song. 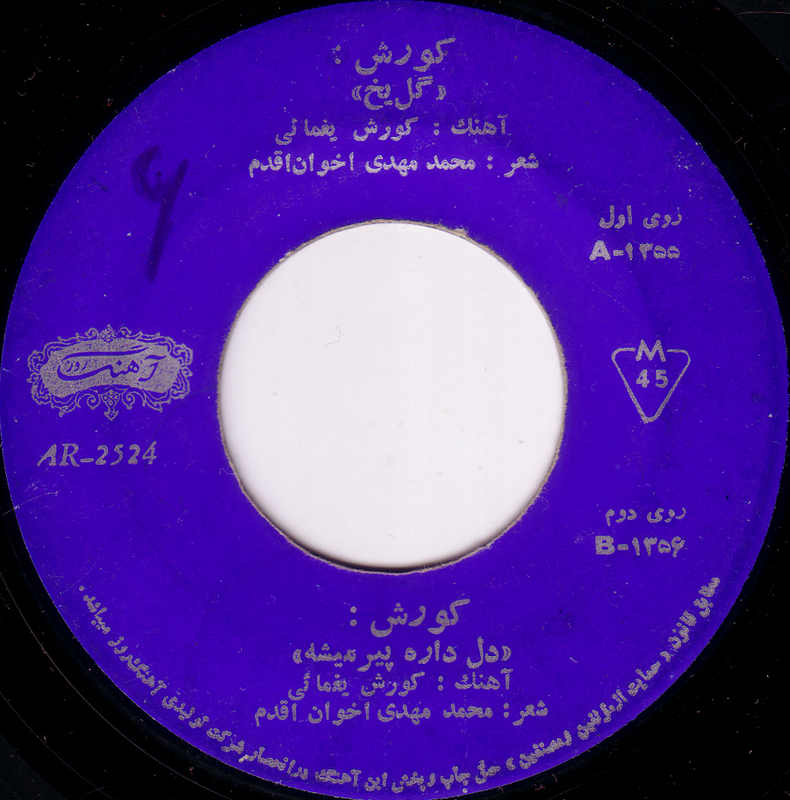 Of course there is Rock and Pop music in Iran today but as usual I´ll stick to vinyl records on this site. These were lend to me by my friend Minou who got them from her father. Incidentally she is visiting her family in Los Angeles right now. Thank you Minou! Thank you Mousa! Kourosh Yaghmaei was Iran’ s most well known Rock musician before the Islamic Revolution brought the country to a halt in 1979 and all Pop and Rock music was banned. He was silenced and forbidden to perform and record for 17 years. 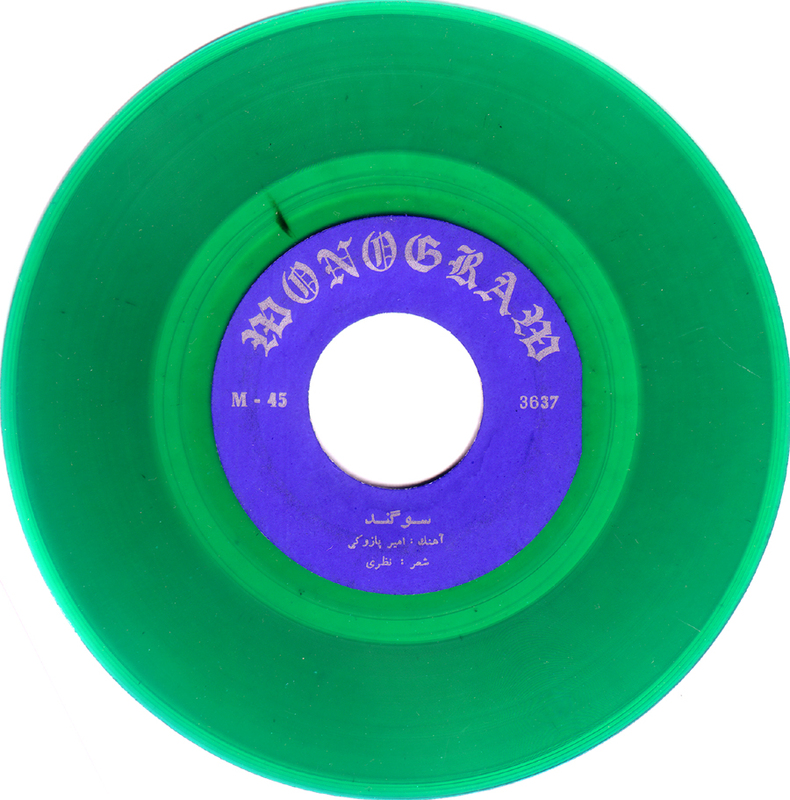 He started playing in the 60´s in the Iranian Beat group the Raptures and then went solo with this his first record. Gole Yakh is a sad, slow Rock song with a nice piano and a great guitar solo. It´s got a beautiful, haunting melody. 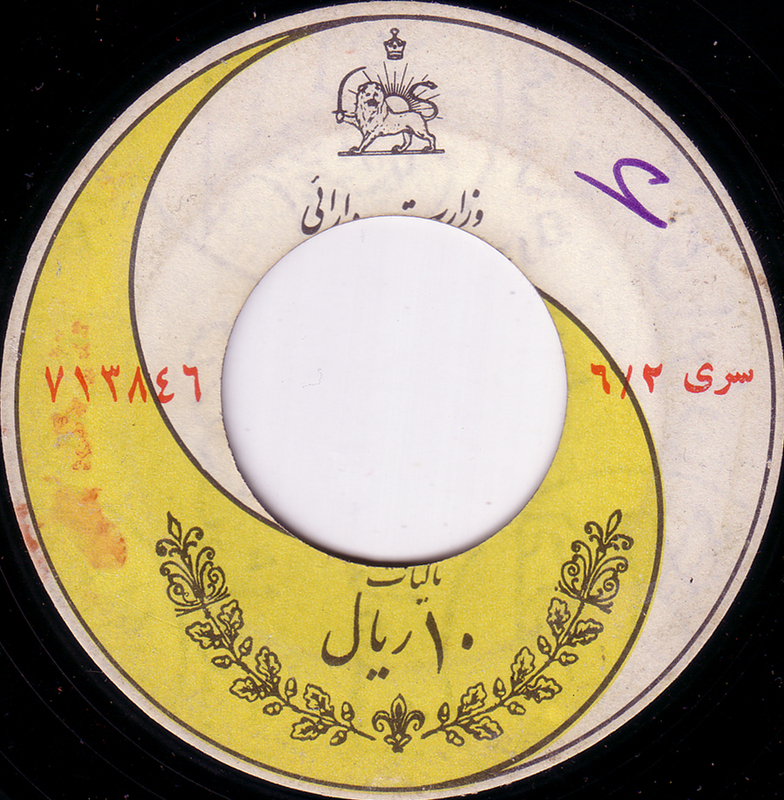 The b-side Del Dareh Pir Mishe is a mid-tempo song with great fuzz guitar and organ. Wonderful! Fikret just supplied a much better sounding file for Gole Yakh. If you like the song you´ll find the link in his comment below.